A new report from the credit rating agency Moody's explores the challenges that automakers will face as they increase production of battery electric vehicles to help meet emissions requirements. "[T]he transition will pressure returns and is a credit negative for the sector because of the significant capital needed to support the initiatives, the low returns BEVs will generate through the early 2020s, and the hurdles to achieving broader consumer acceptance," the analysts say in a new note. 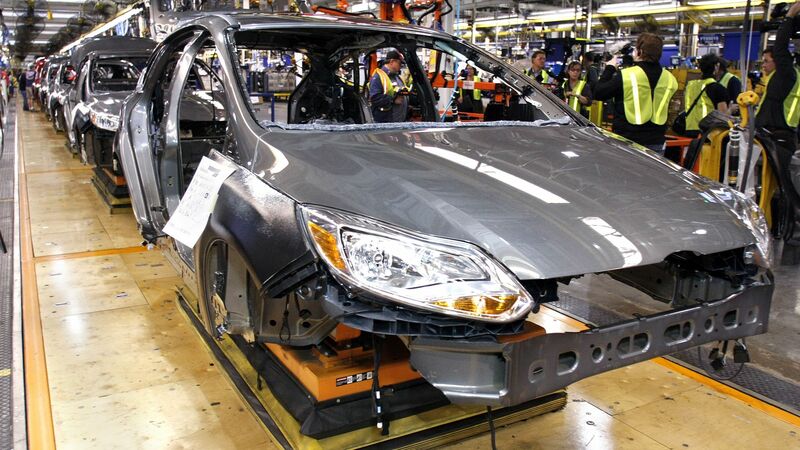 Why it matters: The warning arrives as major automakers are devoting increasing amounts of capital to EV development, such as Ford's announcement this month of plans to spend $11 billion by 2022 on a suite of new models. Big picture: Moody's predicts that EVs, which are now less than 1% of global car sales, will grow to account for 17%–19% of new vehicle sales by 2030. But boosting EV deployment will be a financial challenge because with high auto market competition, the industry "generates some of the lowest profit margins, returns on assets, and returns on capital in the corporate sector," the report says. By the numbers: That's a problem because for the time being, the technology costs mean that for most big automakers, EVs will remain unprofitable through the early 2020s. In the U.S specifically, they estimate that automakers currently lose between $7,000–$10,000 per unit on EVs. "The rate at which economic returns can be achieved on BEVs will depend on reductions in battery costs, technical improvements leading to longer driving ranges, and the time frame over which manufacturers can achieve adequate scale of production," they note. Their EV growth forecast assumes, among other things, that battery costs will decline from the current level of $200 per kilowatt hour to under $100 by the early 2020s.